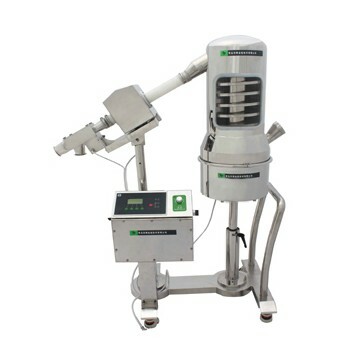 Tablet Deduster has achieved double functions of tablet dedusting and elevating.It is suitable for all kinds of tablets with advanced techonologies,removing dust,in the meantime keeping tablets up.it has advantages of low noisy, Convenient dismantling,easy cleaning,attractive appearance,parts in contact with medicine all made of 316L stainless steel,design up to GMP standards. Production area and machinery area are completely separated to ensure products and machine without effection and safe. Low noisy,quick assembly and disassembly,easy clean and smart appearance. It adopts mirror polish stainless steel. Imported drive device with mute and steady. Parts in contact with medicine all made of 316L stainless steel and meet GMP demands. 360° circle adjustment of inlet and outlet to make production more convenient and save factory room. Metal detector and deduster all-in-one machine has creative structure ensure detection result. The conveying process completely enclosed to set up safe and hygeian environment,convenient to operation with integrated control system.